0.1 Do doctors need to worry about their online reputation? Local word of mouth has modified to become digital with the rise of the use of the internet. About 90% of the folks read online reviews before they engage with a business irrespective of the industry it belongs to. Not to mention, 84% of the people who consume online reviews trust them as much as they trust a friend’s recommendation. So how are doctors any different? The simple answer is – they are not. Physicians also have to deal with the online trend of reviews, testimonials, and ratings that blend to form their online reputation. It’s much like patients asking about your services from other patients before coming over to you with their health concern. The only difference is that the mode of research has changed from physical to online. Moreover, the digital zone is exposed to many, so one negative review can seriously affect your reputation. Do doctors need to worry about their online reputation? Online Reputation Management has become a chore that every businessperson and service provider has to worry about. Statistics are in line with mounting evidence showing how closely people inspect reviews and how they are affected by them. 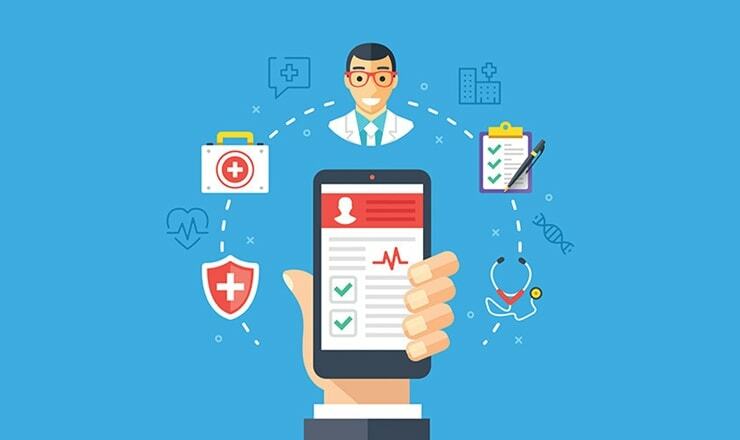 For instance, research reveals that 84% of the patients agree that they research medical practitioners as well as primary physicians online before they meet them. So, a patient knows a lot about you before he walks into your office. Similarly, Price Waterhouse Coopers confirmed that 48% of the people in the US read healthcare reviews as of 2013. That’s roughly 150 million Americans reading about you. Moreover, a 2016 survey by SoftwareAdvice learned that 72% of the patients look into online reviews as their first step to finding a doctor. Not only that, 47% of the respondents opined that they were likely to choose an out-of-network physician over in-network provider if he had more favorable reviews provided both showcased comparable qualifications. Hence, it’s clear that online reviews often serve as the tools that form your first impression on potential patients. It’s clear that a vast number of patients consume online reviews before reaching out to you. What’s equally important is that these digital words can seriously influence your patients. This brings us to managing your digital repo. The foundation for a positive online reputation rests on excellent services. Once your services are unparalleled, there’s little room for negative feedback. Thus, you need to start with staff training, setting up an interactive voice response system, building a quality website, getting practice management software, and more. These can help eliminate some of the typical problems that patients commonly site in their reviews. At the same, request your patients to give you feedback. Research agrees that people are more likely to leave a negative review than a positive one. One way to fight this is to request your patients who are satisfied with your services to leave a review for you. However, it is critical to clarify here that you should, under all circumstances, refrain from using fake reviews to try to spread a positive word about yourself. Besides, 70% of the costumers say that they are willing to leave a review if they are asked to. So instead of falsifying information, use this knowledge to your advantage and ask for feedback from your patients. An angry patient has left some unkind words about you. Now what? You read it, shrug it off, and move on? Hold your thoughts right there. Your work extends far beyond ignoring the reviews. It includes responding to those words actively and in compliance with the HIPPA outline. To begin with, actively track your reviews across all major review platforms such as Yelp, Vitals, HealthGrades, RateMDs, and more. By quickly addressing the negative reviews, you have the chance to put out the fire before it escalates and seriously injures your good name. A strong social media presence can easily squash a negative review or two, provided you genuinely engage with your audience. Social media networks are excellent channels for staying in touch with your loyal customers as well as potential ones. In fact, a regularly-updated social presence speaks volumes of how authentic you are as a doctor, which helps spread the positive digital world. Therefore, set up social media pages and keep them updated with valuable content. If you already have social media pages, concentrate on sharing fresh content regularly. This will serve as a reflection of your practice and add credit points in your reputation’s favor. That said, social media is also a useful tool for social listening. This enables you to hear what your patients are generally speaking about you. To this end, you can use a social listening tool that digs out mentions of your services, practices, and other relevant keywords. Social listening can also help to keep you in the loop of patient complaints and problems. You can also learn about the prevailing trends so that you can solve patient concerns. If you or any of your staff members made a mistake, then there’s no way to deal with it than by sincerely apologizing. A genuine apology can work wonders in mending your relationship with a patient. On top of the apology, try to make amends. Also, refrain from arguments. Even if the reviewer initiated it, you would be held accountable for the mudslinging. Therefore, it is best to keep your calm and stay polite at all times. Although there’s a lot on a doctor’s plate, managing online reputation is an important task. We live in an era where the digital word holds a lot of significance and negative reviews can have a serious effect on your reputation. Moreover, it can repel patients. Therefore, it is best to pay attention to your online reputation before matters spin out of your control.